The Two-Color Light Sprays Pure Silk Scarf contains sophisticated hues in a stunning pattern inspired by the photography of sprays of light coming through the bamboo forest as you wander through its thicket in the Huntington Gardens in San Marino, California. This fashion scarf is the perfect accessory. Wear it as a stunning evening wrap for that special occasion or all day for a unique burst of color in any ensemble. 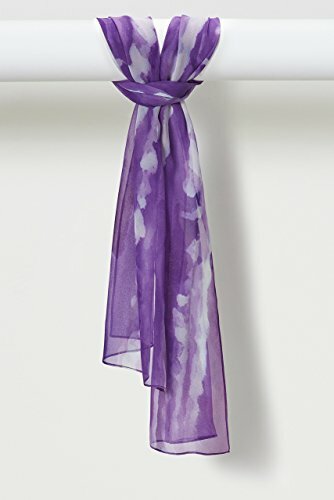 Each painterly scarf measures 17″ x 72″ in pure silk chiffon.